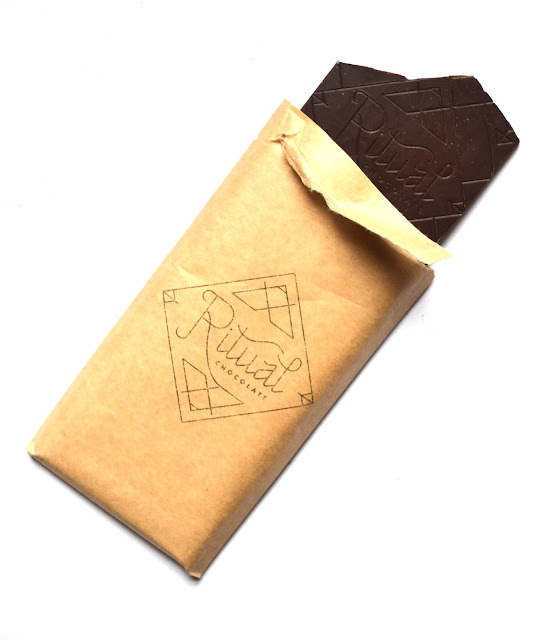 Ritual Chocolate are chocolate makers in Utah, USA. 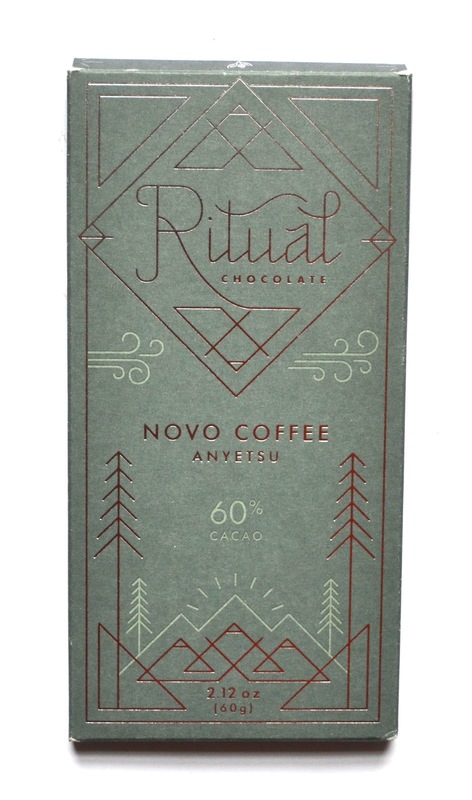 For this bar, the cacao had been grown in the Camino Verde farm in Balao, Ecuador, and the coffee is named Anyetsu from Novo coffee roasters, which is a sun-dried Ethiopian coffee. 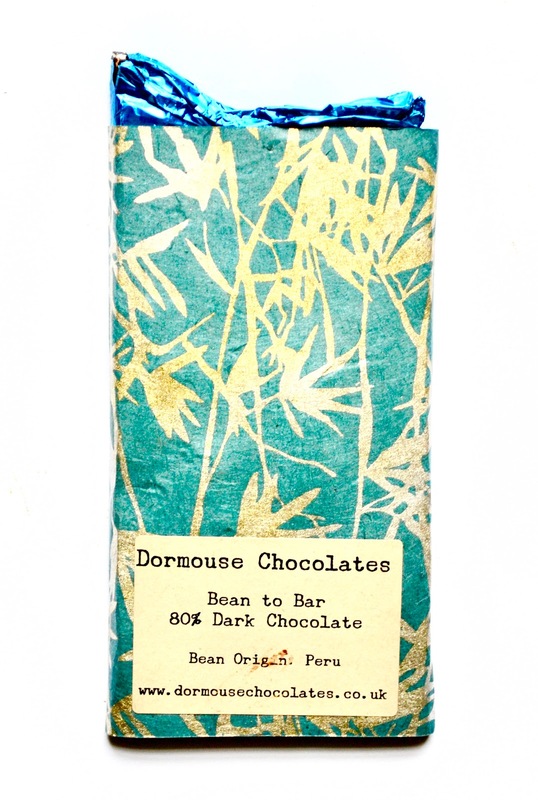 The aroma was peppercorns (black, red and pink), coffee, caramel, digestive biscuits. The melt starts slow and remains a bit gummy, this is most likely because there is around 33% fat, which is considerably low. There is 10% coffee in this bar, but it is completely ground in so it gives a smooth experience. This chocolate won Bronze at the Academy of Chocolate 2018. 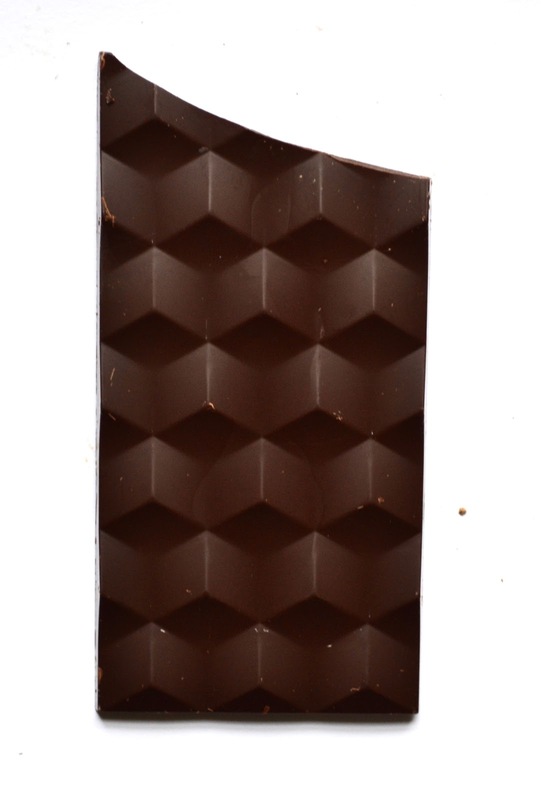 During the tasting sessions, this milk chocolate was a real standout bar for me: firstly the unique method of delivering milk in chocolate (i.e. caramelised) and secondly the intense cocoa flavours (despite being 40%). 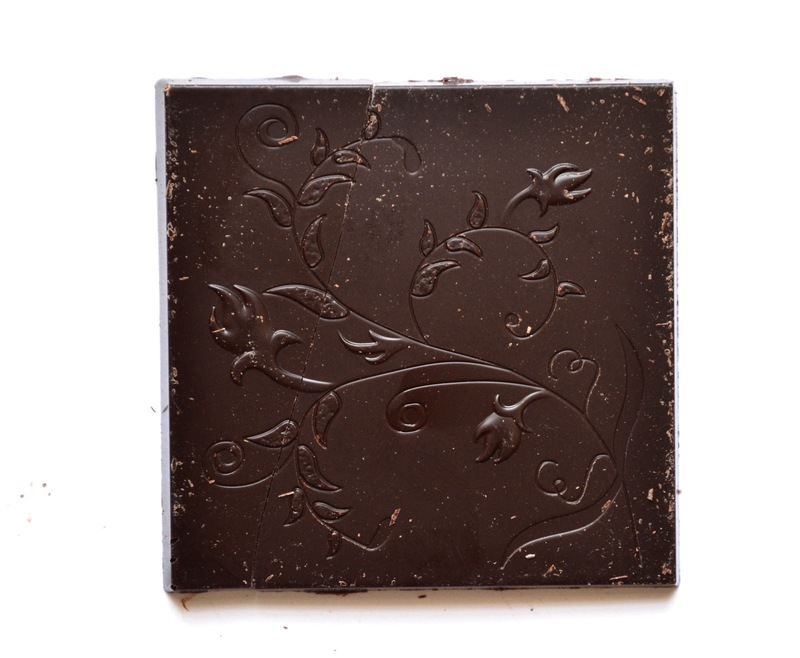 Both the milk and cocoa yielded big flavours, but the chocolate maker orchestrated them divinely. An aroma of fresh italian pizza dough, herby, whole milk, caramel. It has a soft bite. 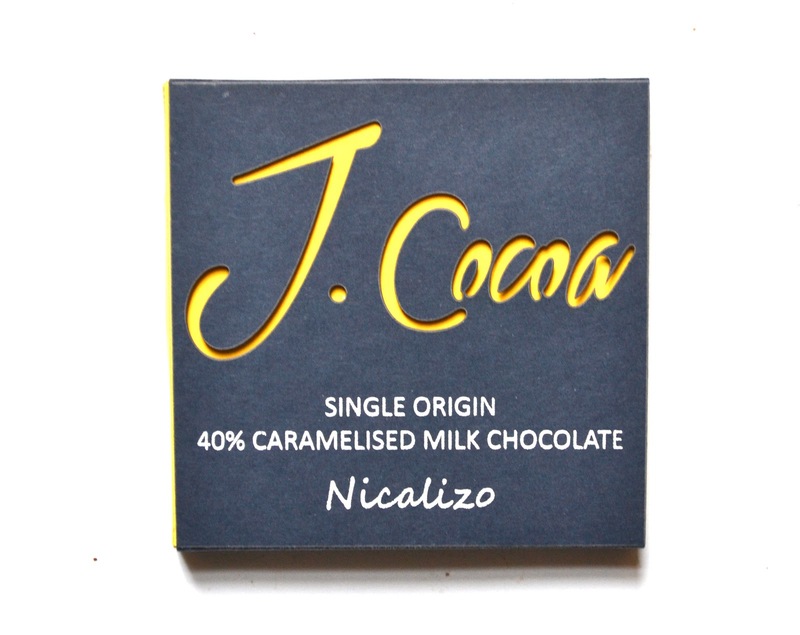 The flavour is very caramelised milk, it's a very rich whole milk taste. Huge hit of wholemeal toast. 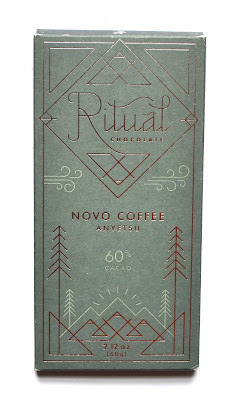 Overall impression is it's a chocolate with an impactful, deep flavour, with slightly nutty notes, nice acidity and a cooling bitterness. 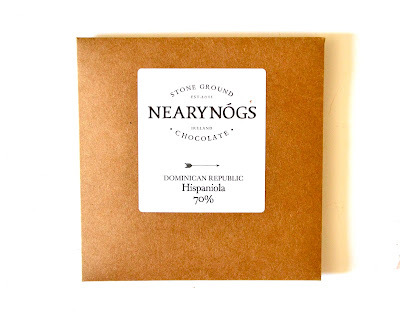 Cocoa beans from Piura, Peru of the Gran Nativo Blanco type, are such delicate and fine flavour cocoa beans. 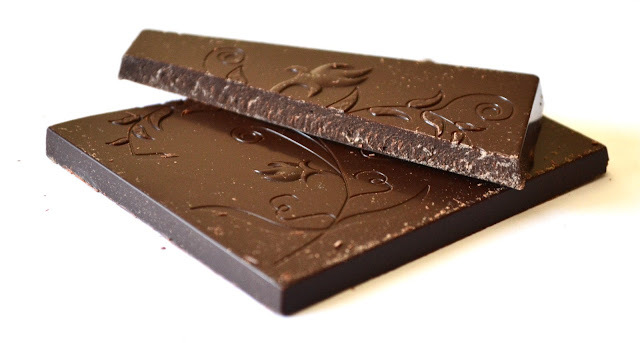 The beans, from Cacao Tales, are grown by cooperatives in Northern Peru, and they are the most awarded cacao beans grown in Peru, see here for more details. 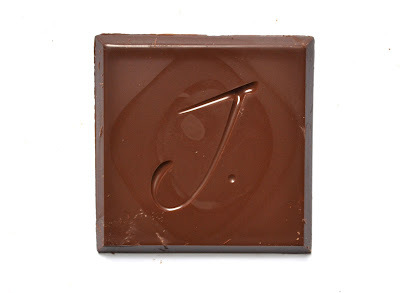 An 80% dark chocolate, made with cocoa beans and muscovado sugar only, meaning no added cocoa butter. NearyNógs first got my attention in early February, it was with their São Tomé 70%. The chocolate, from what I remember, was very good, and more interestingly so was that it had been made in Northern Ireland! Onto their Dominican Republic 70% bar, the ingredients are simple: cacao beans and unrefined cane sugar. The taste had a great acidity, somewhat rich with red currants. The texture and flavour both felt like a chocolate brownie, the texture because it was quite a thick and uneven melt, the flavour because it's just mad chocolatey. 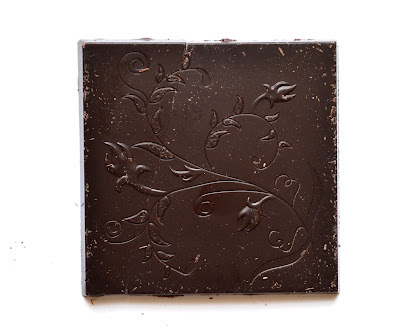 This type of melt, however, works well with a taste like that... The finish had a 'green' earthy note to it. 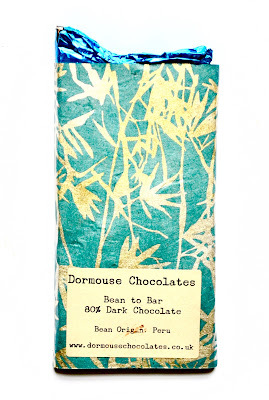 We got talking, found out she was a fellow chocolate maker, which then lead to being given a chocolate bar, of which stayed so close to me until my shift finished. As soon as I got home, I had to try this unheard of chocolate maker!